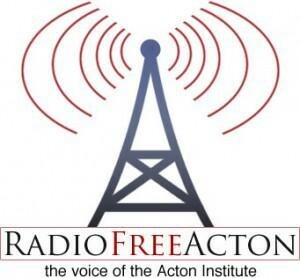 The latest edition of Radio Free Acton features an interview with John Horvat, author of Return to Order: From a Frenzied Economy to an Organic Christian Society—Where We’ve Been, How We Got Here and Where We Need to Go. Host Marc Vander Maas asked Mr. Horvat to describe his book and how it links economics and moral values. Mr. Horvat also commented on his experience and book presentation at Acton University this last June. “It was a conference which discussed those things that really mattered by people who really care,” Mr. Horvat explained. Those who wish to listen to the program can do so by clicking here. 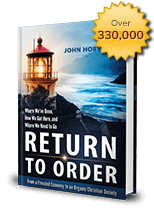 This entry was posted in Featured and tagged consumption, economy, moral values, Order, Return to Order by Evan Olwell. Bookmark the permalink.